By the mid-18th century, Glasgow dominated Britain's tobacco and sugar imports, and the city was also involved in the slave trade. 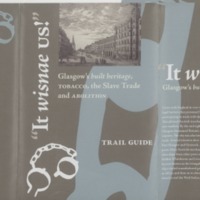 In 2007 Glasgow Built Preservation Trust (GBPT), in partnership with Glasgow Anti Racist Alliance, developed an exhibition linking Glasgow’s built heritage with the slave trade. 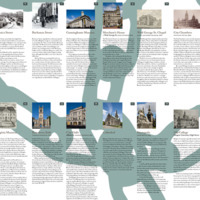 In September 2007, Glasgow’s Doors Open Day event marked the bicentenary with walks (both guided and by podcast), a pop-up exhibition, and an evening of drama, talks and music. 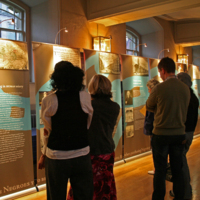 The event was later transformed into a week long ‘built heritage festival’, from which a travelling exhibition and city trail were created by the historian Stephen Mullen.